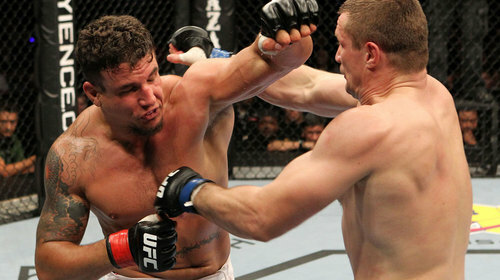 Few champions regain a UFC title – and none in as extraordinary circumstances as heavyweight Frank Mir. Here, in his own words, Mir reflects on the two vastly difference nights he won the UFC heavyweight championship. Fightography: Frank Mir Jun 19, 2014 (6:45) Few champions regain a UFC title – and none in as extraordinary circumstances as heavyweight Frank Mir. Here, in his own words, Mir reflects on the two vastly difference nights he won the UFC heavyweight championship. Frank Mir vs Roberto Traven UFC 34 Nov 2, 2001 (5:06) Heavyweights collide at UFC 34 as Roberto Traven takes on a young Frank Mir. The future UFC champions grappling skills were put to the test against the BJJ World Champion Roberto Traven. Frank Mir vs Pete Williams UFC 36 Mar 22, 2002 (4:28) It remains a unique finish to this day! In a contest between heavyweight submission aces, Octagon veteran and Lion’s Den product Pete Williams tangled with Nevada State high school wrestling champion turned Ricardo Pires’ BJJ prospect - Frank Mir. 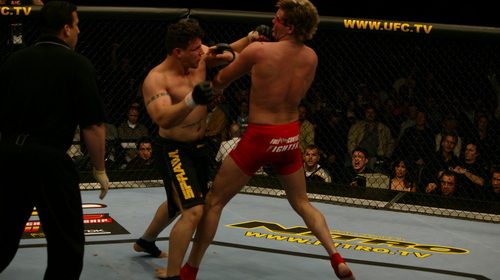 Ian Freeman vs Frank Mir UFC 38 Jul 13, 2002 (14:19) It doesn’t get much bigger than this! England’s first true MMA star Ian “The Machine” Freeman entered the Octagon as the bruising heavyweight, home-country hero against undefeated American submission specialist Frank Mir. 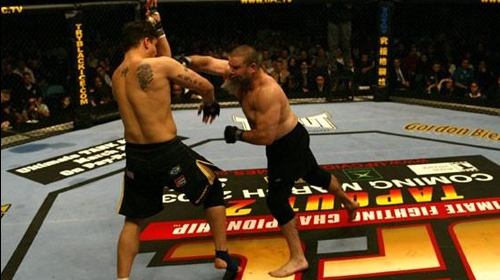 Frank Mir vs Tank Abbott UFC 41 Feb 28, 2003 (10:32) Tank Abbott returned to the Octagon to take on the up and coming submission master Frank Mir at UFC 41. Frank Mir vs Wes Sims UFC 43 Jun 6, 2003 (11:33) Originally scheduled to feature Ken Shamrock, filling-in on short notice was his teammate in Lion’s Den’s stand-up specialist Vernon “Tiger” White in his Octagon debut against the 14-6, English punching powerhouse - Ian “The Machine” Freeman. 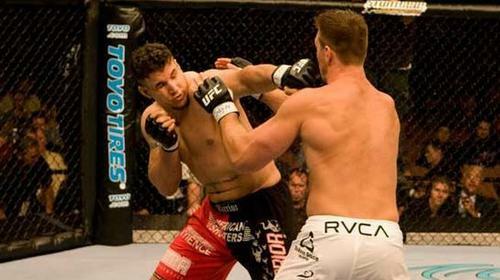 Frank Mir vs. Wes Sims UFC 46 Jan 31, 2004 (20:52) A heavyweight rematch stemming from their infamous first encounter at UFC 43, the enormous 6’8” Team Hammer House product Wes Sims promised to keep things legal this time against the 7-1 ground specialist Frank Mir. 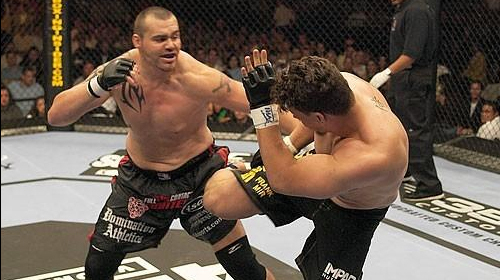 Frank Mir vs Tim Sylvia UFC 48 Jun 19, 2004 (17:23) At first the fans inside the Mandalay Bay Events Center booed the stoppage between UFC® Heavyweight Champion Frank Mir and Tim Sylvia. But most changed their minds as they saw the replay of Syliva's arm breaking during Mir's arm bar attempt. Marcio Cruz vs Frank Mir UFC 57 Feb 4, 2006 (16:13) Frank Mir's long awaited comeback was over quickly as he fell to another Jiu-Jitsu master Marcio Cruz in the 1st round at UFC® 57. Frank Mir vs Dan Christison UFC 61 Jul 8, 2006 (24:55) After a rough return to the Octagon, former UFC heavyweight champion Frank Mir desperately needed a win against a fellow grappling threat Dan “The Sandman” Christison, who scored a Submission & Fight of the Night bonus in his Octagon debut. Brandon Vera vs Frank Mir UFC 65 Nov 18, 2006 (12:06) After a motorcycle accident threatened to derail his career, Frank Mir stepped back into the Octagon™ to test his resolve against up and coming Brandon Vera. The fireworks were fast and furious as the bout was over in a little over a minute. Frank Mir vs Antoni Hardonk UFC 74 Aug 25, 2007 (9:37) Former UFC heavyweight champion Frank Mir squared off against former K-1 kickboxer Antoni Hardonk at UFC 74. Frank Mir vs. Brock Lesnar UFC 81 Feb 2, 2008 (21:30) The big question coming into this fight was, "Can Brock Lesnar fight?" He answered that question early on as he took the former UFC Heavyweight Champion Frank Mir down in the first few seconds of the first round. But the veteran Mir was far from finished as he was able to pull guard and show Lesnar his jiu-jitsu skills. 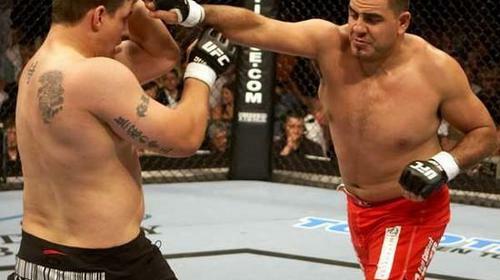 Frank Mir vs Minotauro Nogueira UFC 92 Dec 27, 2008 (22:09) Two of the greatest Heavyweight division Jiu-jitsu specialists finally got their chance to square off when they met inside the Octagon at UFC 92 for the Interim Heavyweight championship. However, it wasn’t their ground skills that were showcased; Mir picked apart Nogueira while on their feet ending the fight in the second round via TKO. Brock Lesnar vs. Frank Mir UFC 100 Jul 11, 2009 (27:21) The most anticipated rematch in UFC history showcased Frank Mir versus Brock Lesnar. Lesnar dominated the first fight before clumsily falling victim to a kneebar. The stakes were higher this time, as the winner would unify the two Heavyweight Titles. Frank Mir vs. Cheick Kongo UFC 107 Dec 12, 2009 (8:19) The war of words between Frank Mir and Cheick Kongo had created some bad blood leading up to this fight. 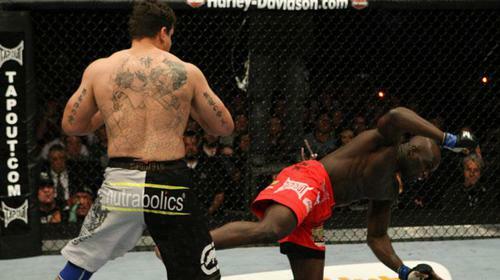 Mir and Kongo went into this bout with full intentions of finishing the fight and silencing their opponent. 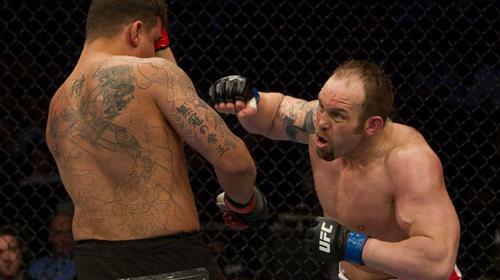 Shane Carwin vs. Frank Mir UFC 111 Mar 27, 2010 (16:25) Former two-time heavyweight champion Frank Mir attempted to make history when he squared off against number one contender Shane Carwin in a clash of the titans that would leave the winner with the interim belt. 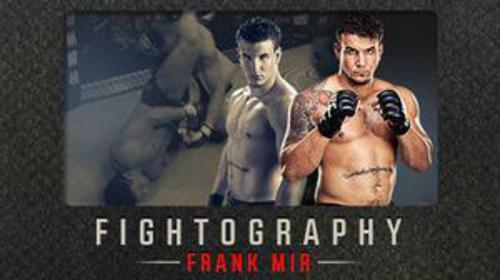 Frank Mir vs. Mirko Cro Cop UFC 119 Sep 25, 2010 (25:55) Mirko Cro Cop, one of the most devastating strikers to ever compete in MMA, faced off against Frank Mir, a high level black belt in Brazilian Jiu-Jitsu and submission artist with wrestling skills. 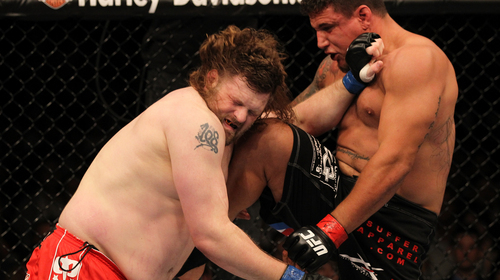 Frank Mir vs Roy Nelson UFC 130 May 28, 2011 (29:06) Frank Mir and Roy Nelson might have been friends outside the cage, but when you’re in the Octagon, no one is your friend. 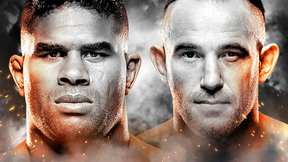 Mir and Nelson looked to get back into title contention, and if beating each other up is what it took, then that's what they were willing to do. Frank Mir vs. Minotauro Nogueira UFC 140 Dec 10, 2011 (17:48) It’s the rematch fight fans demanded, as Frank Mir faced Minotauro Nogueira in a clash of heavyweight greats. Junior Dos Santos vs. Frank Mir UFC 146 May 26, 2012 (26:56) The UFC heavyweight belt was on the line at UFC 146 when Brazil's Junior Dos Santos aimed to defend his heavyweight gold against former UFC champ Frank Mir. In this expert striker vs. BJJ black belt match-up, few imagined this one going the distance. 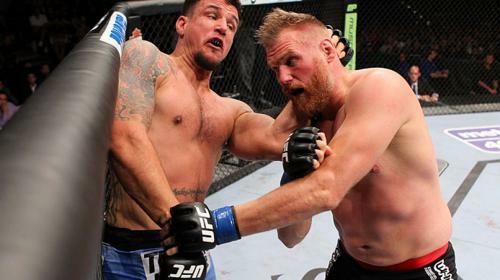 Josh Barnett vs. Frank Mir UFC 164 Aug 31, 2013 (15:59) Heavyweights Frank Mir and Josh Barnett first fought on the same card at UFC 34. Now, 130 numbered events later, the two former champions finally met in clash of two of the division's best submission wrestlers... and trash-talkers. 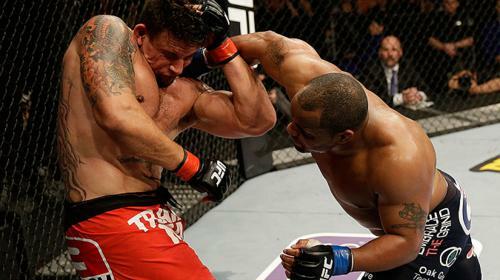 Frank Mir vs. Alistair Overeem UFC 169 Feb 1, 2014 (29:25) As heavyweight superstars looking to get back on track, former Strikeforce champion Alistair Overeem and two-time UFC titleholder Frank Mir met each other in a pivotal bout that would determine their immediate future in the Octagon.